*Let’s be honest, who doesn’t want to catch a shark?! These trips are a minimum of 4 hours in length and are available during daytime and nighttime. The Emerald Coast and Gulf of Mexico is a breeding and feeding ground to thousands of sharks each year. The most common species caught are Bull sharks, Black Tips, Spinner sharks, Hammerheads and Tiger sharks. We also catch the occasional Mako as well. 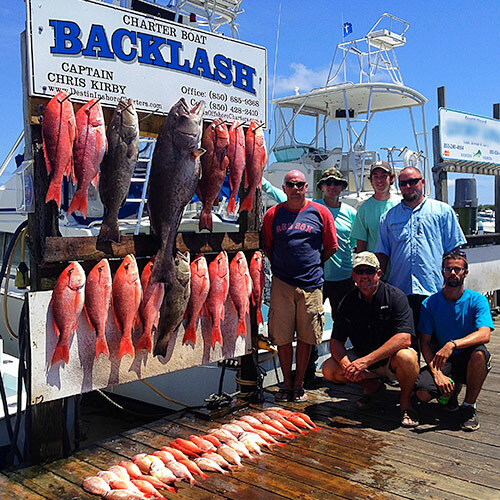 *Our six-hour trip is the minimum we require for any type of bottom fishing. This trip will take place six to ten miles off the beach. The main target will be Red Snappers, White Snappers, Vermillion Snappers, and Triggerfish. *The longer the trip, the further distance offshore you will fish. Typically, the larger grades of fish will the further offshore. 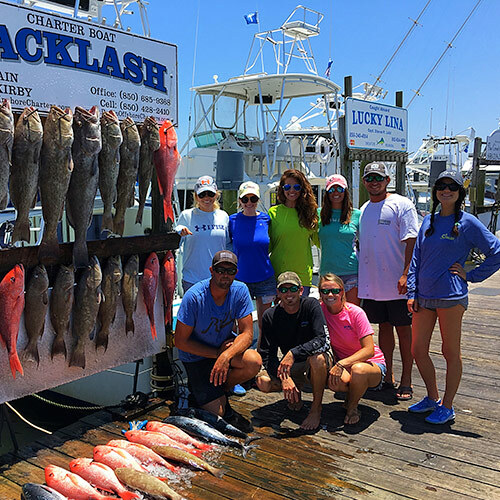 The main target while offshore bottom fishing, depending on season, will be Red Snappers, Gag Groupers, Amberjacks, White Snappers, Vermillion Snappers, Black Snappers, Scamp Groupers, and Red Groupers. The offshore trolling will be targeting big King mackerels, Wahoos, and Mahi-Mahi (Dolphin). *This trip is for the angler in search of a different kind of fishing. The swordfish is the king of all billfish. These powerful, fast, unpredictable sea monsters are truly a fish of a lifetime. This trip will take place 50+ miles offshore and is weather dependent. *Captain Chris will do a “mix bag” trip. This consists of daytime Sword Fishing along with deep dropping for Golden Tile Fish. You may also catch Snowy Groupers and Yellow Edge Groupers mix in. Call ahead for availability! *These trips are completely customizable upon your specific request! Captain Chris will contact you directly to hear exactly what you would like to do. Please call in advance to get more info! 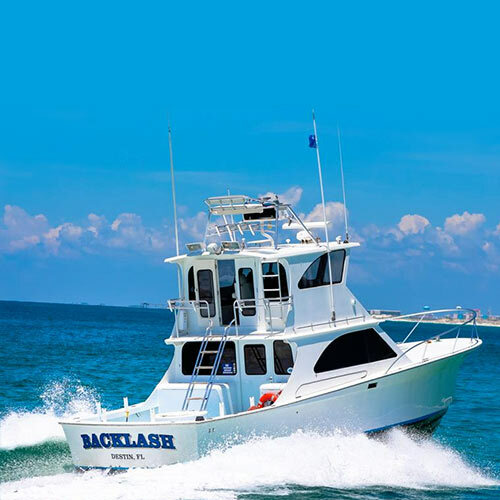 For more information and to book your trip, please call Shelby Kirby or Captain Chris Kirby directly (850) 685-9368!